TUCSON, Ariz., October 6, 2017	(Newswire.com) - Bone broth protein products, a staple of the popular "Paleo" diet, have been laboratory tested by the non-profit Consumer Wellness Center and its associated laboratory, CWC Labs (CWClabs.com), an ISO-accredited analytical laboratory specializing in forensic food science. Results of the tests, acquired via LC-MS-TOF analysis, reveal the presence of insecticides, pharmaceutical chemicals, antimicrobial preservative chemicals and steroidal pheromones. At least one of the chemicals detected in the products —​ butylparaben — has been linked to an increased risk of breast cancer in medical studies. All products tested were non-organic products. Chemical identification was performed using five different analytical vectors, including accurate mass, isotopic ratios and ion fragmentation "fingerprint" analysis. A summary of the press announcement video has been posted at ConsumerWellness.org, along with highlights of the findings from the lab tests. The findings indicate the presence of quantities of chemicals that might raise questions among health-conscious consumers. Many bone broth products are marketed as "natural" or "all natural," yet these tests prove they may contain synthetic chemicals that might pose increased risks of diseases such as breast cancer. In a press announcement video, CWC executive director Mike Adams, who directed the scientific research, raises concern over the "lack of transparency and ethics" in the nutritional supplements industry, which he says consists of a number of highly sophisticated supplement marketing companies whose products are never tested for chemical composition. The Consumer Wellness Center is not claiming the products pose an acute danger, nor that they violate current FDA regulations which allow unlimited quantities of pesticides and other chemicals in the U.S. food supply. Instead, the CWC announcement is aimed at providing consumers with greater transparency about what they are purchasing and consuming, especially when such products are consumed in large aggregate quantities by consumers who purchase them based on persuasive marketing that often makes questionable health claims. 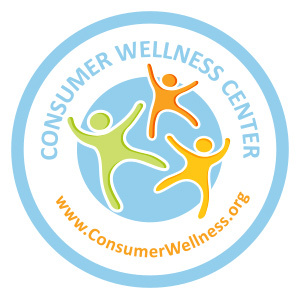 The Consumer Wellness Center is here to educate consumers about safe, natural wellness solutions for living healthier, happier and more abundant lives, free of charge, and free of bias.